The Pennsylvania Department of Conservation and Natural Resources, is proud to partner with the Keystone Elk Country Alliance in the creation of the Elk Country Visitor Center. The Ultimate Elk viewing experience starts here in Clearfield County! 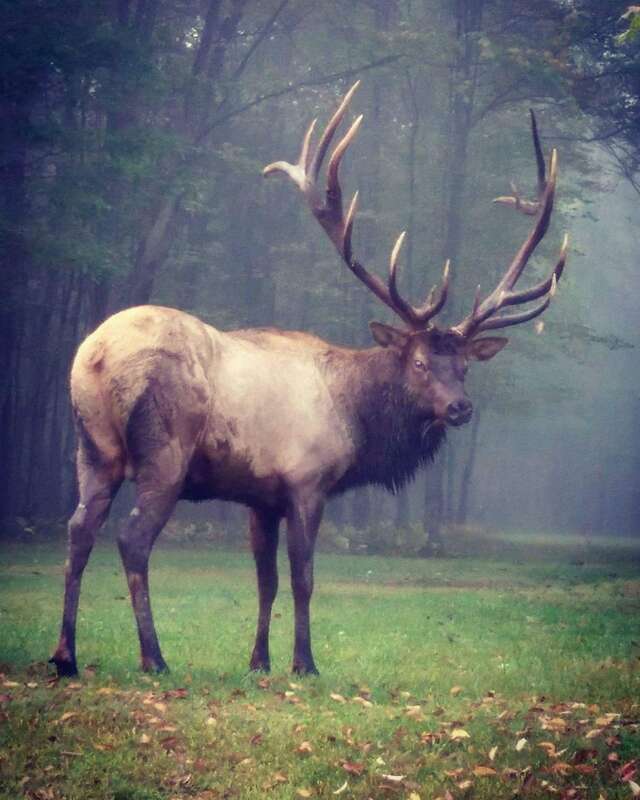 Pennsylvania is home to the largest free-roaming elk herd in Northeastern United States. Hearing a Bull elk bugle for the first time is an extraordinary experience and something you will never forget! So let’s travel to Quehanna Wilds and visit the Elk Country Visitor Center! There was a time when elk roamed freely throughout their native Pennsylvania range. But with increased settlement came loss of habitat, and by the mid-1800s unregulated hunting had wiped out the state’s native elk herd. Reintroduction of these magnificent animals began in 1913, when the Pennsylvania Game Commission imported 177 Rocky Mountain elk into Pennsylvania. Today, more than 1000 elk live here and are the largest herd in the northeastern United States. 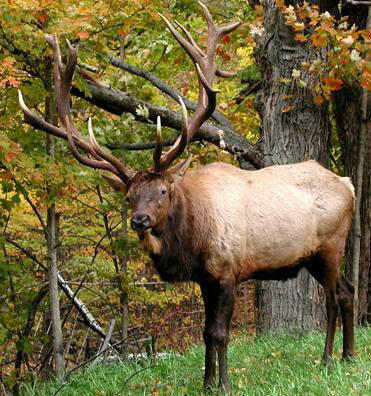 Over the past two decades, the Pennsylvania Game Commission, the Pennsylvania Department of Conservation and Natural Resources, the Keystone Elk Country Alliance and other organizations have worked to conserve and protect elk and their habitat. Through improvements in the elk range and other efforts, it is hoped this wonderful animal will continue to roam the Pennsylvania Wildnernesss. To begin your elk viewing experience stop in at our luxurious hotels, motels or B&Bs right off of Interstate 80 in Dubois (exit 97,101) or Clearfield (exit 120) so that you can drop off your luggage and get ready for a great adventure. Hop back into your vehicle and travel SR879-Quehanna Highway to SR555 from Clearfield. Make sure to keep your eyes open because you will see plenty of wildlife on the way! Here are some wildlife viewing areas for you to visit: Hoover Farm Wildlife Viewing, Wykoff Run Natural Area, Beaver Run Dam Wildlife Viewing, Marion Brooks Natural Area. You will also pass some great dining and spirits that are worth the stop along the way including: Redwood Inn, Riverfront Bar & Grill, Quehanna Motor Lodge, Medix Hotel, Benezette Wines, and Benezette Hotel. The entrance for the Elk Country Viewing is located at 134 Homestead Dr., Benezette. Remember to use your GPS if you have it available! Hop back in to your vehicle and jump back onto I-80 to exit 111 and follow SR153 to SR555 for a beautiful scenic tour of Clearfield County as you head towards the town of Benezette. You will pass 2 beautiful and scenic state parks along the way, so don’t forget to stop at S.B. Elliott State Park and Parker Dam State Park. You will also pass some great dining and spirits that are worth the stop along the way including: Applewood BBQ, Medix Hotel, Benezette Wines, and Benezette Hotel. The entrance for the Elk Country Viewing is located at 134 Homestead Dr., Benezette. Remember to use your GPS if you have it available! Enjoy your stay in Clearfield County! Please remember to stop in and see us to plan your trip(s) or to get more information about Clearfield County...thanks for the visit!